Maljohn Plastics Company, Ltd. has over 25 years dedicated to solutions for your industrial and agricultural plastics manufacturing and supply needs. We have the largest stock of material in North America for selection and competitive pricing. 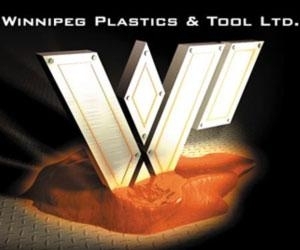 Winnipeg Plastics & Tool, Ltd.
in Winnipeg Plastics & Tool, Ltd., Winnipeg Plastics & Tool, Ltd., Winnipeg Plastics & Tool, Ltd., Winnipeg Plastics & Tool, Ltd.
Winnipeg Plastics and Tool Ltd provides injection- molded parts to a wide range of industries. We specialize in precision tool and die, jigs and fixtures, plastic injection molds and molding, EDM work, custom machining, CNC milling and turning. in Industrial Plastic, Osseo Plastics & Supply Inc, Osseo Plastics & Supply Inc, Osseo Plastics & Supply Inc., Osseo Plastics & Supply Inc.
Osseo Plastics saves you the cost of replacing your worn out agricultural equipment by resurfacing with industrial plastic.